As a Nurse Geoscientist and a Gerontologist, my interest is cognitive aging and memory loss. A major focus of this research has been to understand the aging brain and how the subjective evaluation of memory may lead to cognitive decline. My paradigm utilizes Self-Efficacy Theory to explain the cognitive difficulties experienced by older adults who are worried about memory loss or have cognitive impairment. Dr. McDougall was the first nurse scientist to utilize this novel paradigm with the cognitive concerns of older adults. These aspects include the effects of physical, emotional, and control beliefs on subjective and objective memory performance. The work has repositioned the belief that an adult can utilize strategies to empower their beliefs in their cognitive function as they age. The various research projects have been funded from the National Institutes on Aging, National Institute of Mental Health, and National Institutes of Nursing Research. From 2001-2006, the Senior WISE (Wisdom Is Simply Exploration) was tested in a large randomized clinical trial that was funded by the NIA. Through the research, he developed a unique memory training intervention called Senior WISE (Wisdom Is Simply Exploration). Senior WISE is an efficacy-based memory training intervention that embodies four components: Stress inoculation, confidence building, health promotion, and strategy training. Senior WISE is registered with the U. S. Patent and Trademark Office. The model has been tested with over 1000 older adults who have participated in various health promotion interventions in which they have learned strategies for successful aging. Awards and honors for his research include the Mind Alert Award for Mental Fitness from the American Society on Aging and MetLife Foundation; the Edge Runner from the American Academy Nursing; National Academies Keck Futures Initiative; Nurse Scientists: Committed to the Public Trust, Johnson & Johnson; Nurse Scientist Award, Friends of the National Institute of Nursing Research; and Media Award, American Academy Nursing. Currently he is Professor of Nursing at the College of Nursing at Florida State University. 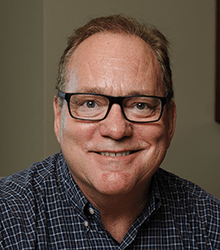 Dr. McDougall has authored over 100 scientific articles and 25 chapters, delivered over 200 invited presentations and his research and perspectives have been profiled in high-impact media: The Today Show and O, The Oprah Magazine. We must all must continue working to dispel the many widely held ageist myths. And as a nurse, I know nursing can make a significant contribution to this effort. Proactively participate in the ongoing transformation of the aging paradigm. The paradigm must shift from a worldview of inevitable decrement, to one of possibility, which includes health promotion, development, growth, and learning. Continue to inspire future well-prepared gerontological and Psychiatric Mental Health nurses, with their unique expertise and knowledge, can make a significant difference in moving gerontology forward within the nursing profession, the healthcare system and beyond. Including clearly identifiable gerontological content in nursing school curricula is one step that can be taken to chip away at ageist ideas, and nursing educators can use creative and novel approaches to prepare students for enlightened practice with older people. Since Gerontology and Geoscience are relatively new fields of scientific inquiry, the continued preparation of scientists to study aging phenomena in a multi-disciplinary context is key. Preparing future researchers in the basic sciences, social sciences, and health sciences to think creatively and across disciplines is crucial for the advancement of gerontology as an academic and scientific enterprise. Another way to advance gerontology is through evidence-based practice. By proactively developing and improving their research and practice skills, gerontological nurses can make significant contributions throughout the different areas of gerontology. These range from patient care, chronic disease management and disease prevention, health promotion, to an improved health care delivery system, to improved national, state, and local health policy, to multidisciplinary research. Finally, the field of gerontology and psychiatry will be advanced in the social policy arena through the active involvement of geriatric and psychiatric leaders in the process of creating and implementing health policy for the nation and the world.